The less adorable part was that they also decided to decorate all of Bella’s room with this stuff. Have you ever worked with this adhesive? It’s a royal pain in the tuches to get off your things. 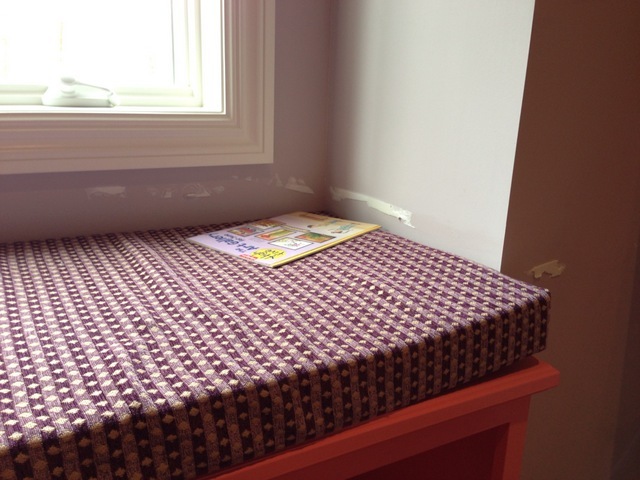 I’ll spare you the boring pictures of tape on all the furniture…Anyhoo, I was faced with a challenge and used it as an opportunity to test a variety of products. *GOOD NEWS ALERT* I am here to tell you that this gook does indeed come off. Plus, it doesn’t require any special products, just a ton of patience and some elbow grease. 1) Squezze a good amount of dish soap to cover the bottom of a bowl. Splash a bit of white vinegar. Add hot water until the mixture is nice and sudsy. 3) Keep rubbing until the foam and adhesive backing all come off. It takes time, but it comes off completely and the door/wall/floor/furniture will look as good as new. What kind of mischief has your kid been up to lately? I put this tape on my garage door. Man did it stick! The suggestion you offered sounds good to me. Thanks. Yeah – this didn’t work at all for me. I ended up using spray Murphy’s Oil Soap & a razor blade scraper. It took off almost all of it, then I sprayed again & used elbow grease. 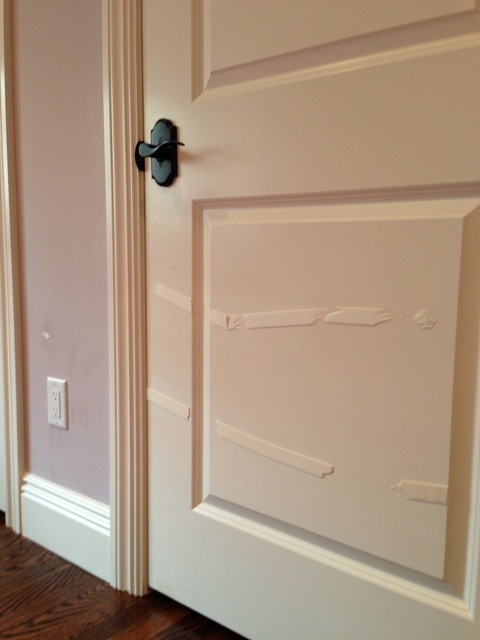 I also nicked some of the paint off of the door, but I was painting the door, so that wasn’t a concern for me. Thank you! We’re remodeling our bathroom, and the previous owners used foam tape to stick the vanity mirror to the wall… Got the mirror and the tape off, but I have been trying to get the residue off so I can repaint. Going to try this right now! Same here as Laura. This did not work for me at all either. I’m going to try WD-40 which is my usual go-to for removing adhesive. 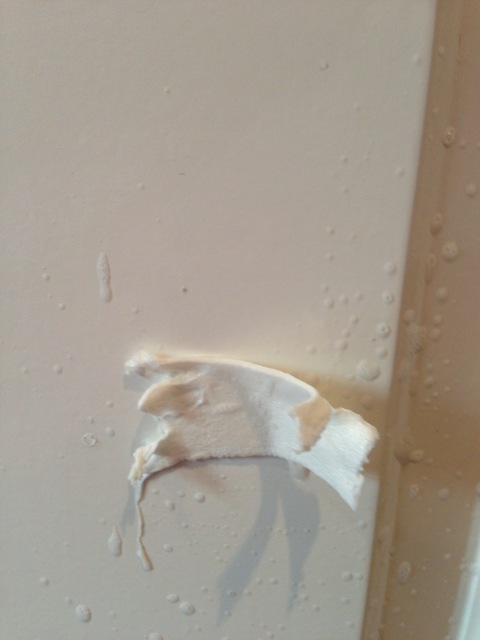 An oil based solution is necessary to break down the adhesive, vinegar and soap doesn’t work very well. Tried Goo Gone and it came of like butter. Like night and day compared to the vinegar, soap and hot water suggestion on this blog. This stuff is great if it’s something permanent. Not so great for anything else… ever. We use it all the time at work, and while it does its job, I hate when people use it on areas where it will need to come off some day. There is actually a VERY easy way to get the stuff off. No need for any magical chemicals. Use a heat gun or a blow dryer. They’ll generate enough heat to loosen up the adhesive, and it will come off without leaving anything behind. It can take a little bit of effort, but it beats scrubbing or picking it off with your fingernails. And, again, it leaves behind no residue. Try the heat method (hair dryer)! Genius! It worked.I’d add LOTS of rubbing and to make sure water is really hot.